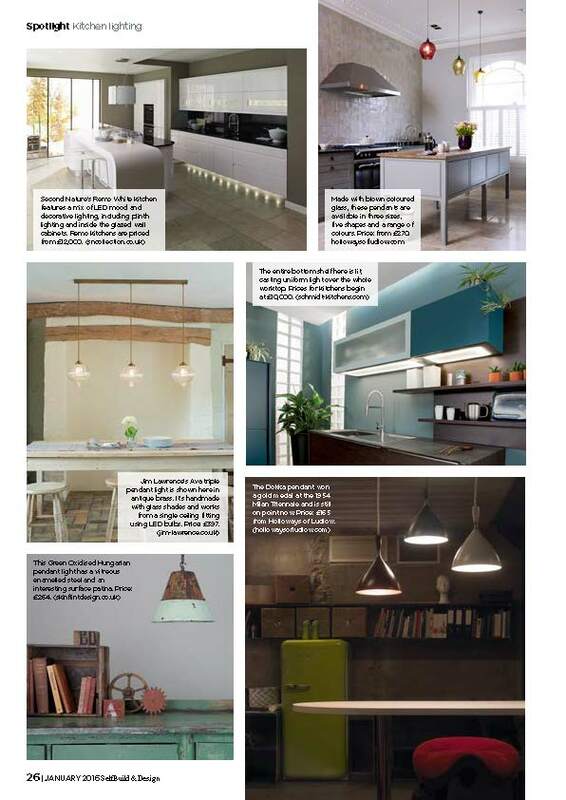 Are you looking for kitchen lighting ideas? 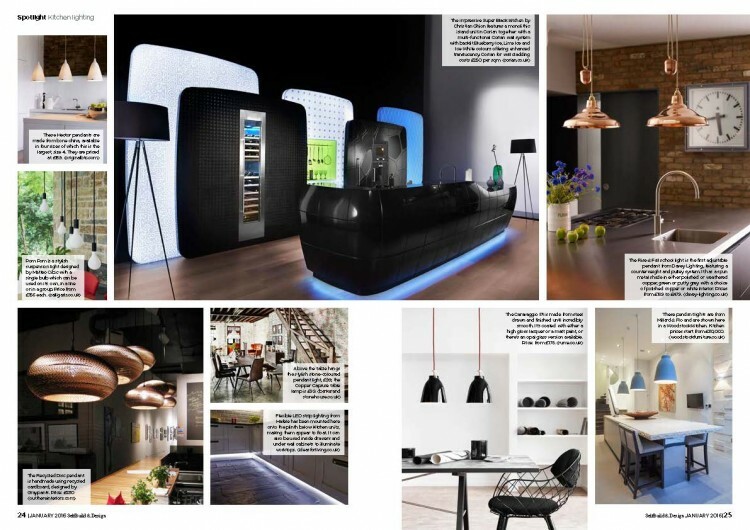 Then take a look at this wonderful article from January’s Self Build and Design Magazine. 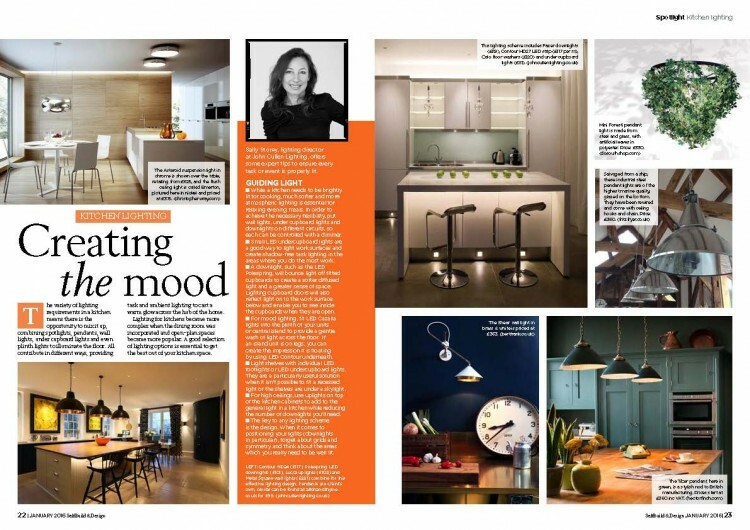 Sally Storey gives her latest tips to ensure every task or event is lit properly and looks at how to create the mood plus there is a brilliant host of ideas of decorative fittings for your kitchen. While a kitchen needs to be brightly lit for cooking, much softer and more atmospheric lighting is essential for relaxing evening meals. The lighting in a kitchen has to work harder here than in any other room of the house. With the arrival of LEDs which last so much longer, it is more important than ever to get your kitchen lighting ideas right.